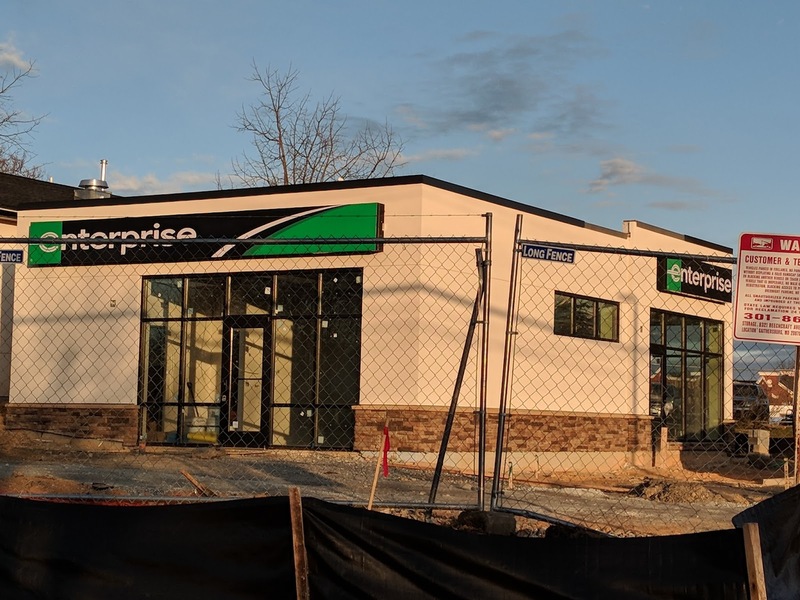 Enterprise Rent-A-Car is coming to a new location on Rockville Pike across from Marlo Furniture. This is where part of the old Rockville Ford/Century Ford dealership was, next to what is today a FedEx Office store. I thoroughly enjoy the fact that, despite the well-financed effort to influence the Rockville Pike Plan in favor of Ballston and Crystal City dystopian urbanity, key properties actually within walking distance of the Rockville Metro station ended up redeveloping in classic Rockville Pike fashion - - fast food joints, auto repairs, rental car offices and plenty of surface parking. Things families actually need, and which have made the Pike the most profitable street in the state of Maryland for decades - and a major generator of revenue for the state, as well. Indeed, smart Planning Commission picks by Mayors Bridget Donnell Newton and Phyllis Marcuccio were able to preserve enough of Rockville's small town/suburban character to earn the city a recent "Best Place To Live in Maryland" award from Money magazine. 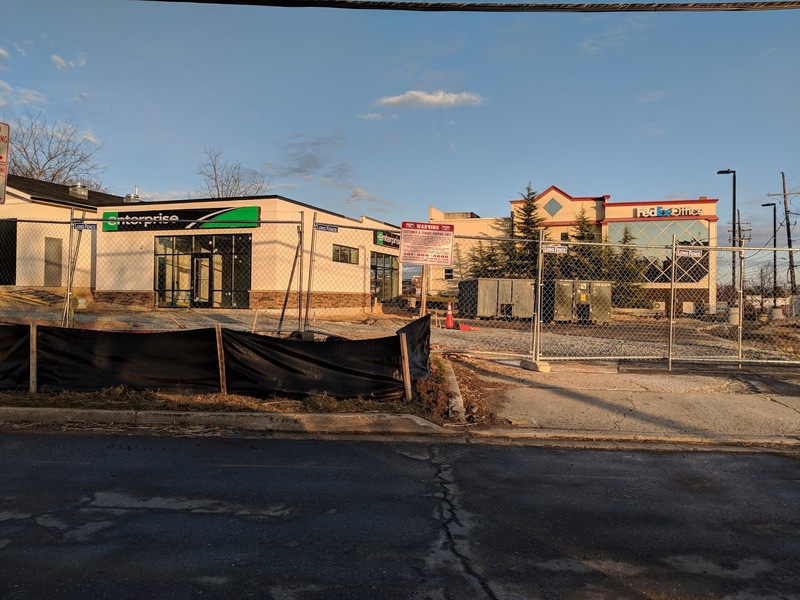 Don't tell Greater Greater Washington, but Rockville beat out the new-urbanist towns Rockvillians were told they should be emulating. To quote The Donald, Jr., "If it's what you say, I love it." "Rockville beat out the new-urbanist towns Rockvillians were told they should be emulating." Rockville Town Center doesn't exist? 11:16: The push was on to have many Rockville Town Square-style developments all along the Pike, only taller. Any idea when Enterprise is opening? That strip on the east side of Rockville Pike between Edmonston and Veirs Mill is not an example of "preserving Rockville's small town/suburban character" and it is certainly not the reason why Rockville earned "Best Place To Live in Maryland" award from Money magazine". 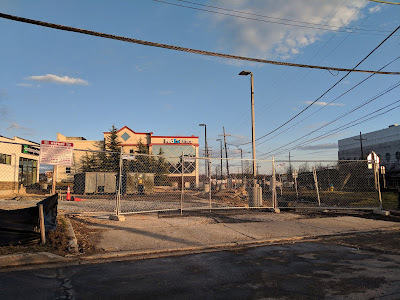 It exists in its current state - a jumble of crappy one-story businesses and parking lots - because it is too narrow and too close to a freight railroad to be a desirable site for dense residential or mixed-use development. 2:04: There are many existing and future residential developments up against the tracks. The Ford dealership site was plenty big enough for a town center, not to mention the potential to assemble adjoining properties. Yet the market seems to be demanding lower-density, suburban uses. There are no existing residential developments "up against the tracks". The only properties that come close are Galvan at Twinbrook and the Hilton, both of which have a block between the back of their properties at Chapman Avenue, and the tracks. 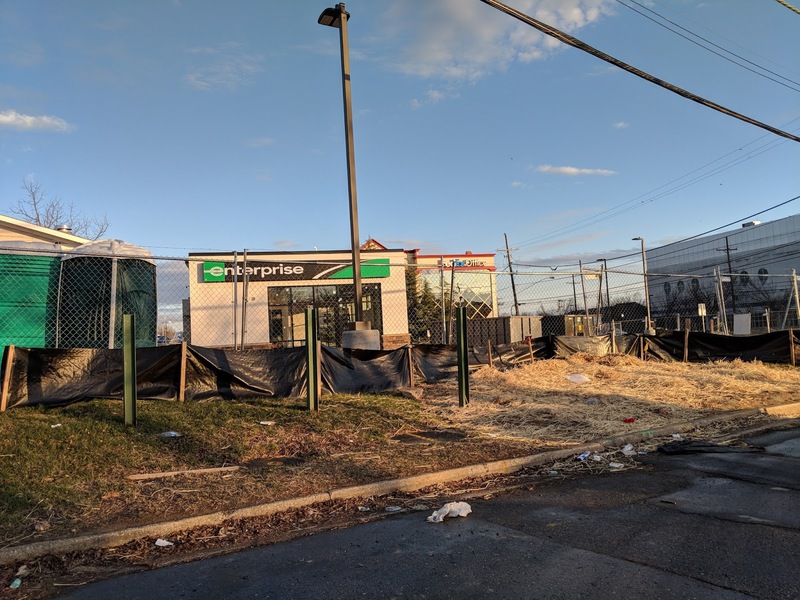 The area between Rockville Pike and the railroad tracks in the vicinity of the Twinbrook station is much wider than that in the area around the former Century Ford property. Given a choice between Ballston and Rockville Pike, I think most sane people would call the latter "dystopian". 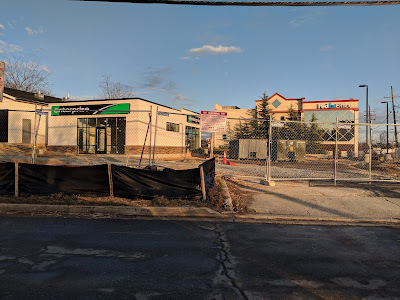 Rockville is considered "the best place to live in Maryland" BECAUSE of its mixed use areas (RTS and KF), not because it has crap like this Enterprise. That's obvious to everyone. Obvious to everyone but Mr Dyer, which is why he has zero shot in the Council At-Large race. 8:16: I have zero press from a local media that literally is working as the PR arm of the Democratic candidates, but I have more than a zero shot to win. I'm the most-qualified candidate in the at-large race by far. None of the other candidates has the experience, or countywide record of accomplishment, that I do. On any nice weekend, you'll see most Rockville "families" enjoying the very popular urban and Town Square, with its street retail and restaurants, library, public events, and plaza, not fixing, renting, or buying cars along the wasteland that is Rockville Pike. I agree that we need that stuff, but it should be along a secondary industrial road like Gude Drive, not near the Metro along the county's main street. Gude Drive is far behind Rockville Pike in sales and revenue generated for the state of Maryland. Residential developments, in contrast to the Pike, have proven to generate more costs than revenue - as evident in our County's ongoing structural deficit.